With beautiful trees in the vicinity, Harmony Inn is a place that will provide tranquillity and relaxation to the guests. 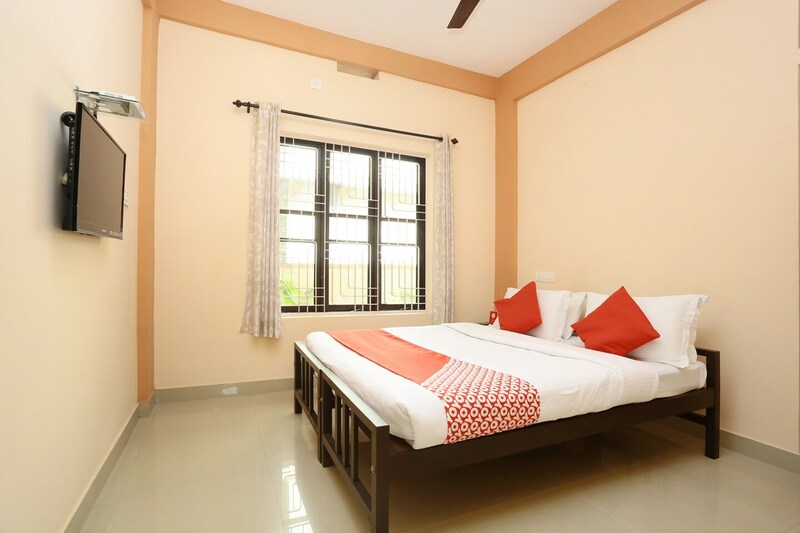 The rooms are naturally-lit and the basic coloured printed curtains add up to the over-all look of the rooms. The large windows let the breeze come in the rooms providing the required ventilation. The property is surrounded by a lot of markets in the neighbourhood, so, shopaholics can easily spend some time shopping there. Harmony Inn has power back up solutions for the off-chances of power cuts. The place is secured by CCTV cameras for additional safety of the guests.